Sweet Summertime Derby Winner Nick Larson and Hummin Affair with Courtney Hayden Fromm presenting. 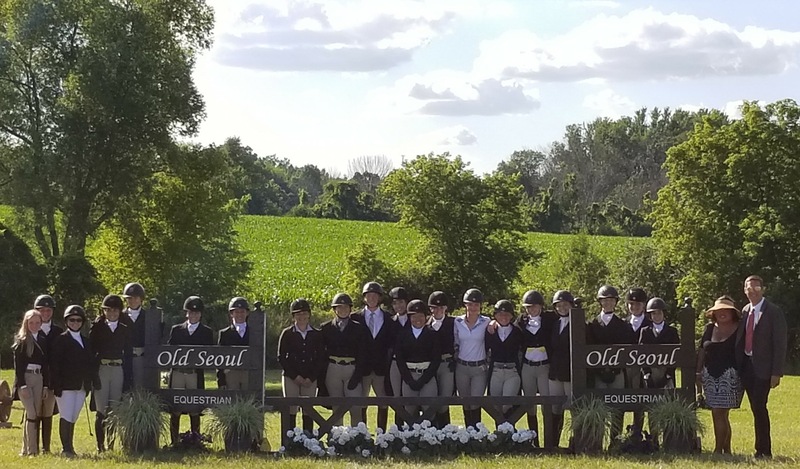 West Bend, WI – July 31, 2018 – Old Seoul Equestrian wrapped up the first two weeks of the Sweet Summertime Horse Show Series filled with fun and education. The Sweet Summertime Series Take One and Take Two ran July 13-15, 2018 and July 20-22. Old Seoul hosted a clinic by trainer and USEF judge, Jamie Stryker, of Morriston, Florida, followed by the enjoyable hunter derby competition on the grass July 17th, which ran between the two weeks of shows. 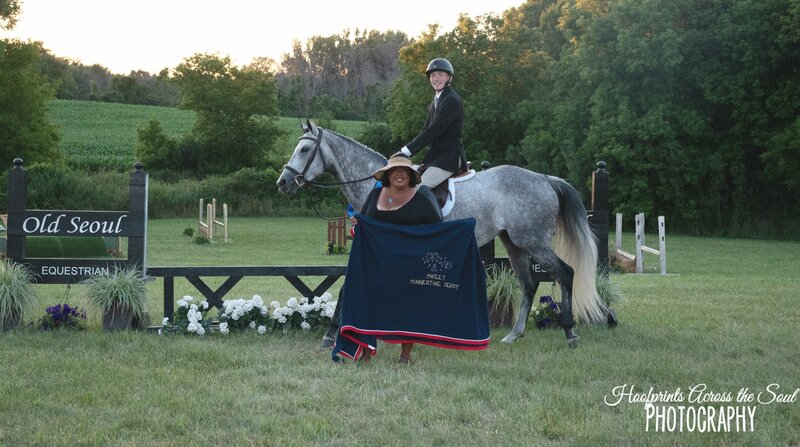 Nick Larson and Hummin Affair were the winners of the feature event, The Sweet Summertime Hunter Derby. The clinic and derby group at Old Seoul with clinician Jaimie Stryker. 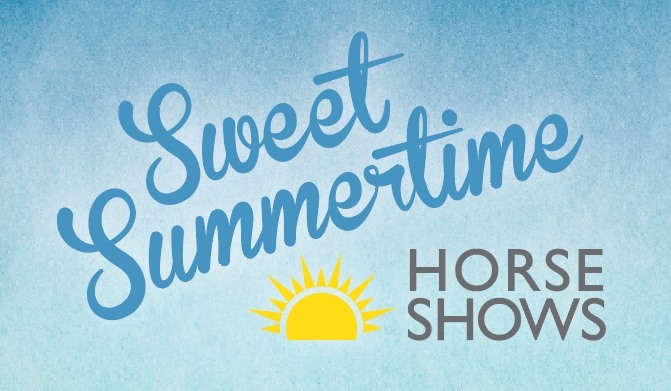 Coming up next in the fun series is the Sweet Summertime Finale and the annual Wisconsin Equine Derby Weekend, August 15-19th at the Washington County Fairgrounds in West Bend, WI. Join show manager Courtney Hayden-Fromm for outstanding hospitality, charity events and plenty of equestrian fun. 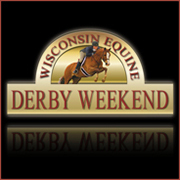 The popular Wisconsin Equine Derby Weekend, August 17th-19th, includes a clinic/education day along with hunter and jumper derbiesat various heights. The feature events include an exciting 4 Bar Challenge, the exceptional Barbara Biever Memorial Equitation Classic, and an unforgettable team derby event, which invites all riders to design and wear theme costumes as part of the competition. In addition, there will be silent and live auctions to benefit Healing Haven of Wisconsin as well as other local charities included with great hospitality. The annual event has a huge list of sponsors and supporters and is a yearly favorite for local vendors and exhibitors. The event offers not only great competition and education events for riders, but also shopping, social events, education and plenty of cheering opportunities for spectators. The clinicians for Friday’s education day will be Tommy McIntyre from Batavia, Illinois, and Mac McQuaker from Schomberg, Ontario, Canada. 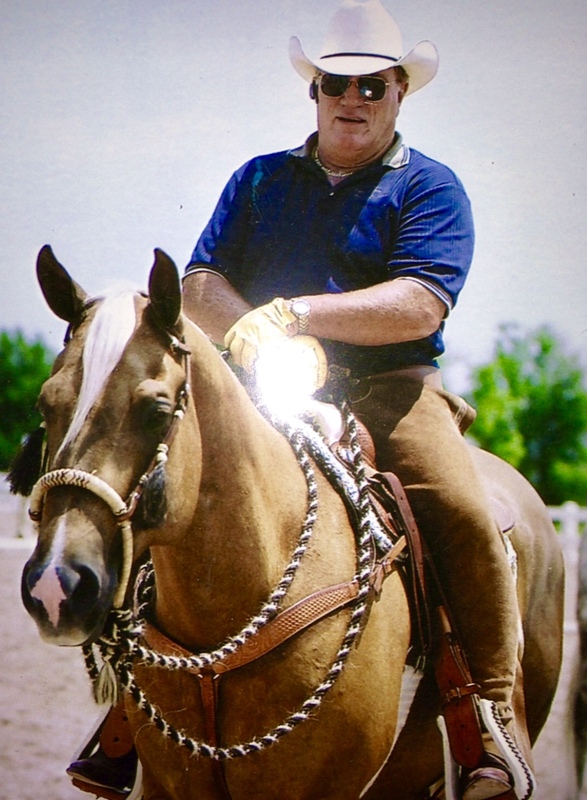 Tommy McIntyre started his professional career at age 19 when he started managing Lamplight Equestrian Center and later the Wayne Du Page Hunt Club. He runs McIntyre Stables in Batavia, Illinois, with his wife, Debbie. 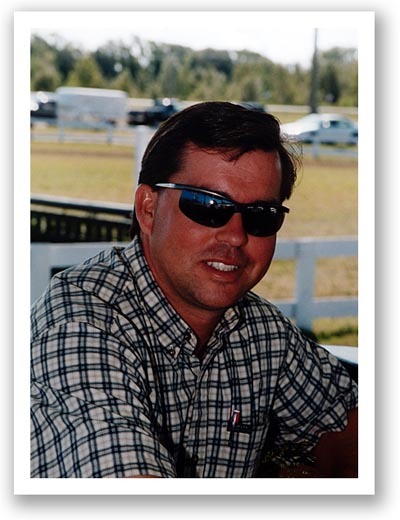 McIntyre has spent the last 40 years mostly on the road; training, showing, selling and importing horses, managing horse shows, judging, course designing and building jumps. Mac McQuaker and wife, Christi, operate Gryphon Farms in Schomberg, Ontario. They have been competing on the A-circuit for the past 30 years showing hunters and jumpers up to the Grand Prix ranks. They travel throughout Ontario and regularly compete in the USA. He is also a Senior EC licensed course designer and travels regularly doing hunter/jumper clinics in the off-season. Old Seoul Equestrian, LLC was created with the support and input of other Wisconsin equine professionals to offer learning experiences for riders in a safe, friendly, competitive environment. They strive to offer learning opportunities through clinics, education, loads of fun and grass-roots horse showing experiences. Come and enjoy the Sweet Summertime with Old Seoul Equestrian! 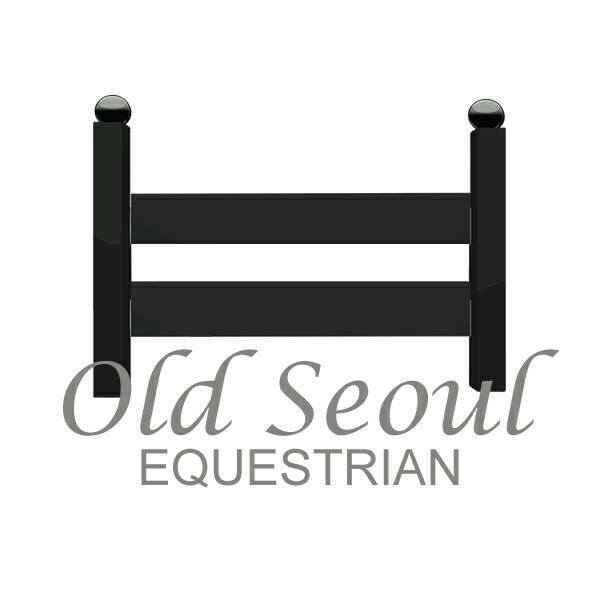 For more information and a prize list, visit their website at www.OldSeoulEquestrian.com. Stabling is limited so reserve now. Entries Close August 6th.